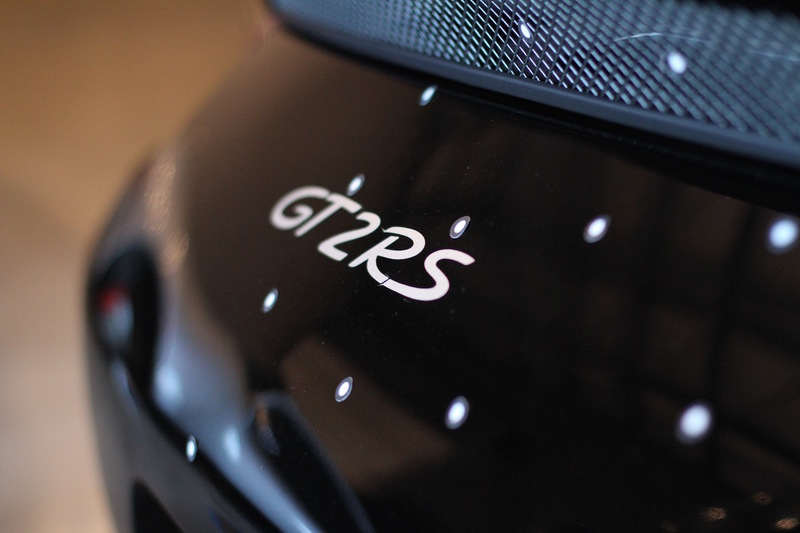 We’re onto the next step of our GT2RS development – aerodynamic assessment. Porsche has delivered the GT2RS with a seemingly endless list of aerodynamic tricks and solutions. It is important for us to understand how each of those elements work together if we plan to adjust the aero setup on the car. Which we do. 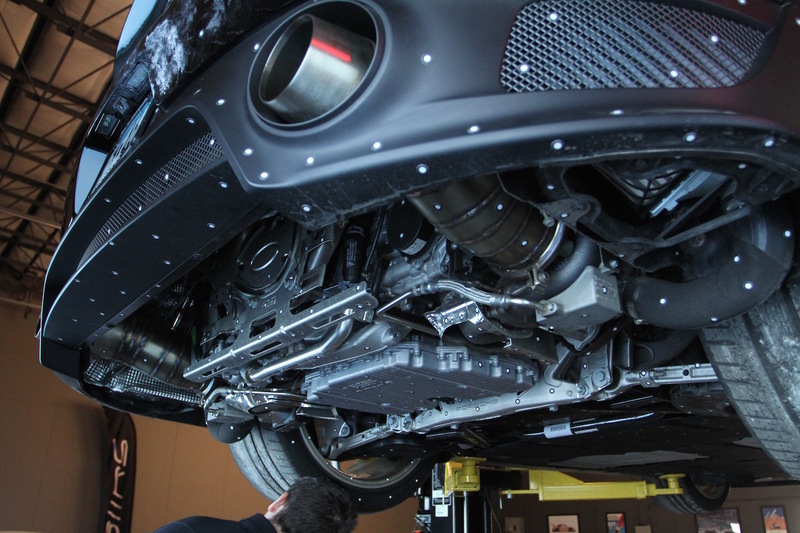 Our upcoming Race exhaust system removes the factory center muffler, which itself acts as part of the rear diffuser. 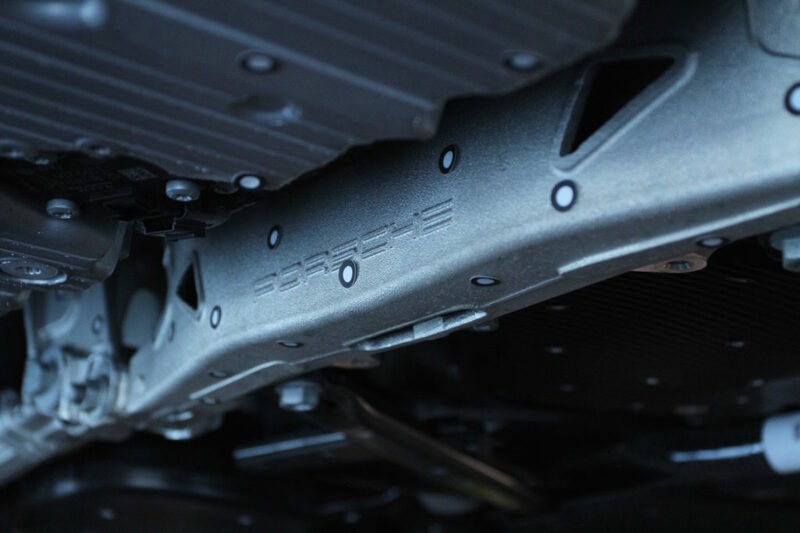 Removing this muffler creates a large hole at the rear of the underbody aero system. This must be addressed if we are to call our exhaust system an upgrade. 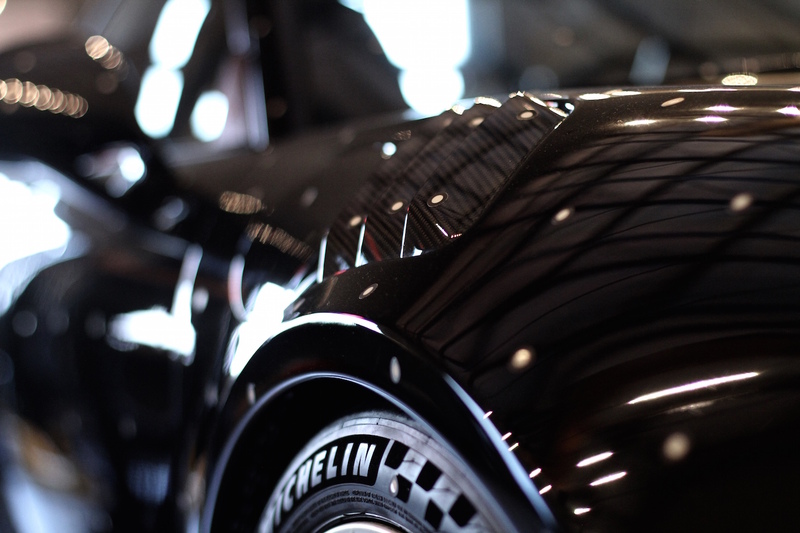 The folks at Patience Metal Fab introduced us to a local duo who run Nextrev Motorsports. Aerospace engineers by day, race car builders by night. At their day job, these two work with some of the most advanced technology and manufacturing processes available today. 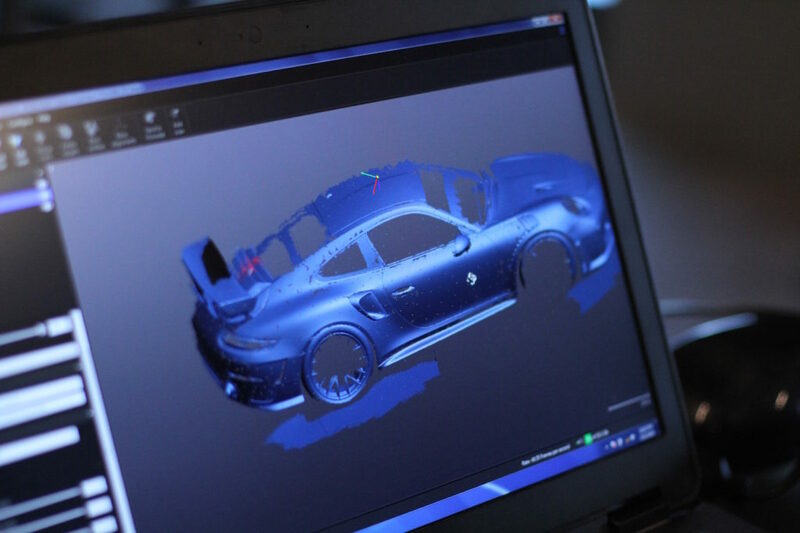 We were specifically interested in a 3D scanning process which creates a model of the GT2RS for use with CFD software. 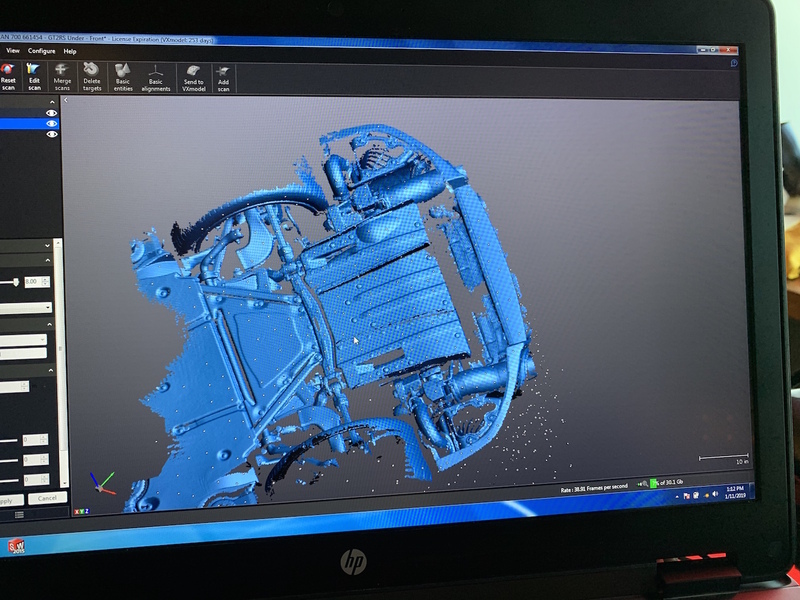 We were connected with a local 3D scanning company which would provide the scan data to NextRev for use with aero development. It is important for us to not only understand how the factory aero systems work on the GT2RS, but also where they can be improved – in this case by starting with a diffuser to work in conjunction with our Race exhaust system. 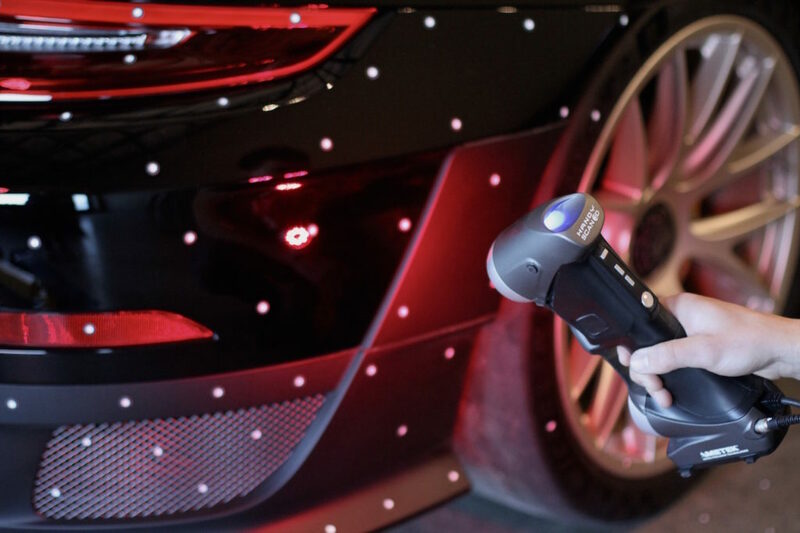 The 3D scanning process begins by placing thousands of specialized dots around the car. These dots are “activated” during the first round of scanning. 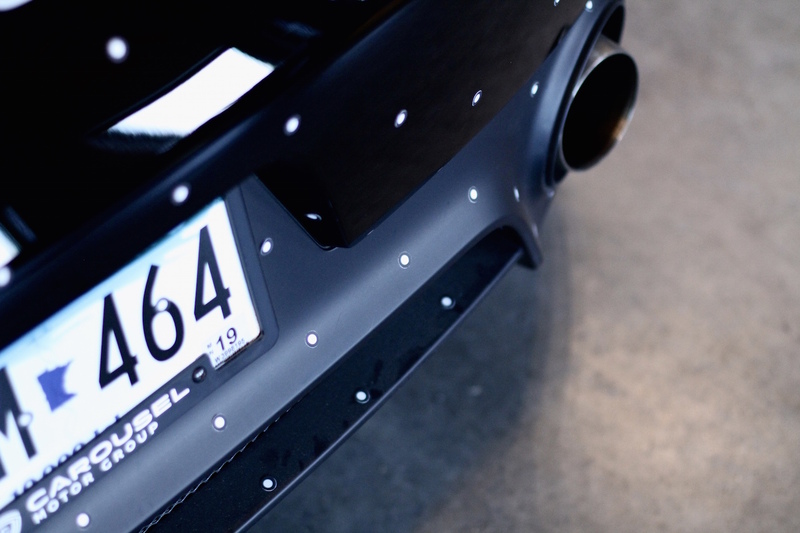 After the computer recognizes the location of the dots, a second round of scanning triangulates the dots and creates a surface of the car based off the deformation of the lasers. Seeing this 3D scanning process first hand was unreal. These guys were pros and made it look easy. With the exterior completed, we moved onto the underside. 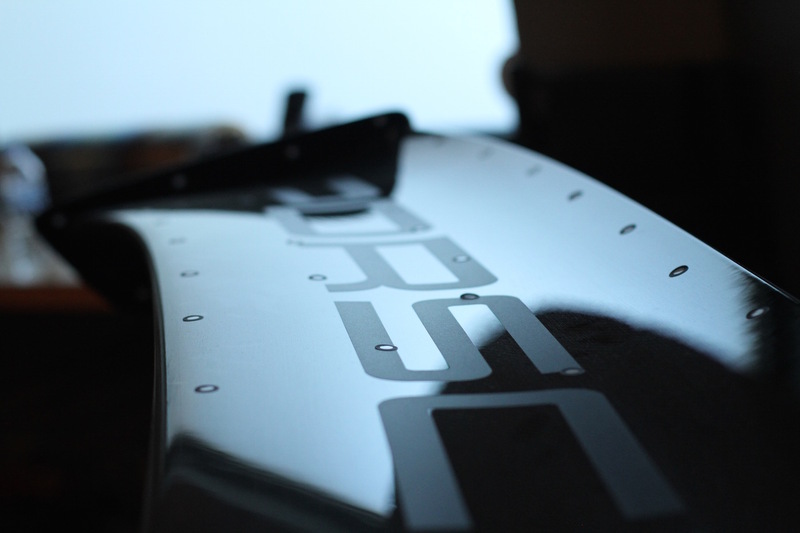 Here is the underside with the OEM diffuser removed. 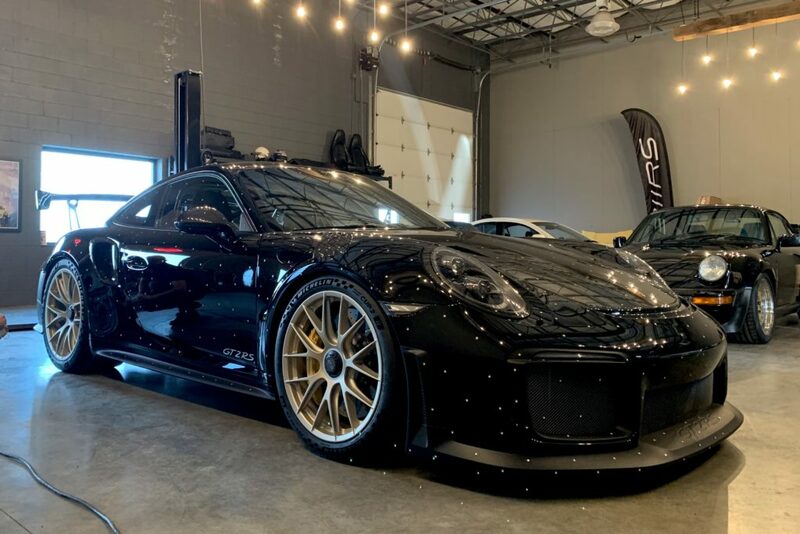 There is a lot of room for improvement back here – Porsche including a diffuser from the factory provides us with mounting points for a much larger diffuser. 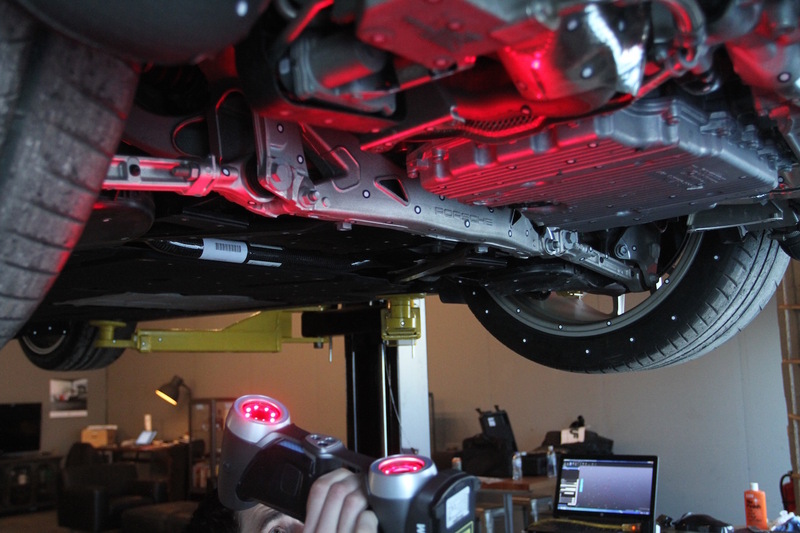 3D scanning the underside of the car proved to be a simpler task – the black paint was so shiny (thanks Carsmotology) that we had to rub some wax on the paint to dull it. Getting all the nooks and crannies. 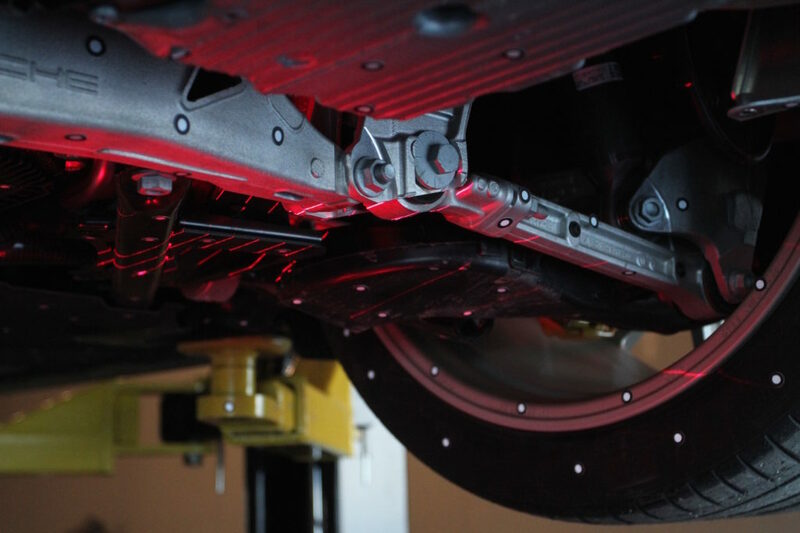 Here you can see the result from the scan of the GT2RS underside. The use of 3D scanning and CFD for this project will be a huge advantage for us while we evaluate our options for the rear diffuser (and additional small aero tricks). Our first test day with the car is the 26th of February. We hope to have a prototype of our diffuser ready by then so we can report back with some real world results. Until then, we’ll keep this news section flush with updates as winter rolls on.